THE LEGO BATMAN MOVIE Review | Warped Factor - Words in the Key of Geek. Everything is Batman and everything is awesome! 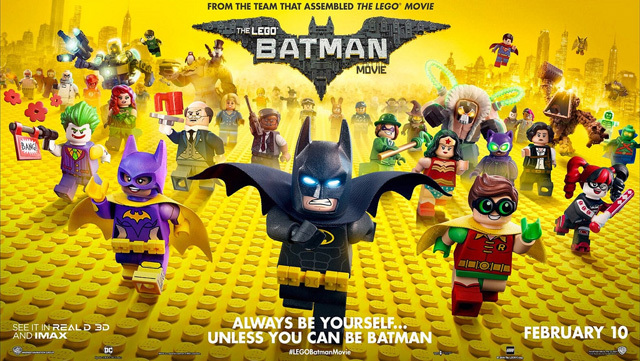 As a big fan of Batman and The LEGO Movie, I have been super excited for this film since it was announced. But as ever with something like this, I have been worried that it might not live up to my expectations. Fortunately, about five seconds in, all of my fears were laid to rest. Director Chris McKay uses this film to brilliantly explore the endless possibilities of LEGO and continue to put across that sense of child-like imagination and playfulness that was also present in The LEGO Movie. The LEGO Batman Movie is a beautiful roast but also love letter and tribute to the character and films of Batman. The level of detail and attention paid to the characters and also the LEGO world is second to none and there are some great little callbacks to The LEGO Movie, cementing this as part of a new cinematic universe. There is naturally a lot of fan service. The film is jam packed with references and jokes about the previous Batman movies, from Zack Snyder’s ‘Batman v Superman’, to Christopher Nolan’s ‘Dark Knight Trilogy’, the nineties Bat-nips of the Joel Schumacher films, my two favourite Batman films - Tim Burton’s ‘Batman’ and ‘Batman Returns’ - and also, as Alfred puts it: “that weird one in 1966.” And that’s not even scratching the surface. The amount of detail and thought put into this is immense! 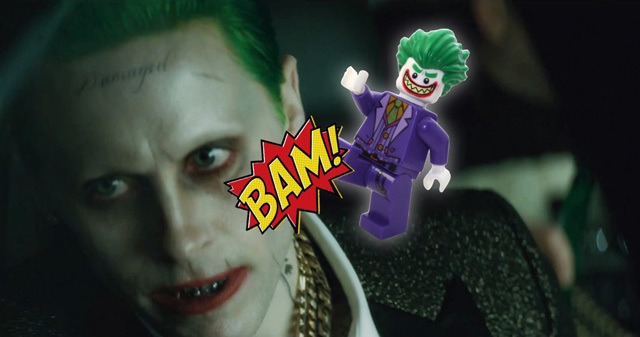 There is, however, enough humour, action and cameos from other franchises and LEGO properties to keep younger children and non-Batman-fans entertained. The animation in The LEGO Movie was brilliant and it has been improved upon here, the cinematography is gorgeous and the soundtrack is superb, taking motifs from classic Batman movies but I also felt a hint of Mad Max Fury Road in there. And the opening number is insane! Will Arnett was one of the best things about The LEGO Movie and he transitions effortlessly to his own feature. Michael Cera is wonderful as Robin and injects even more humour into the film with his innocent mind. Ralph Fiennes perfectly channels his Monsieur Gustav role from The Grand Budapest Hotel as Alfred Pennyworth and Rosario Dawson is a good Batgirl. Zack Galifianakis is a brilliant Joker and is, much like the rest of the cast, having an absolute blast playing these wonderful characters. If I have any criticisms it's that the beginning of the third act does take a change of pace which feels somewhat out of place with the rest of the film, but it does soon pick up again. Also, there is so much going on I feel like I'm missing lots, but if that means I can watch the film again and again and still take new things from it then that is fine by me. I sat with a smile on my face throughout, from its fourth-wall-breaking-beginning to its fourth-wall-breaking-end.